This wildly romantic accommodation is on the East Coast in the Byron Bay hinterland, where the silence is only disturbed by the dawn chorus from the adjacent rainforest. 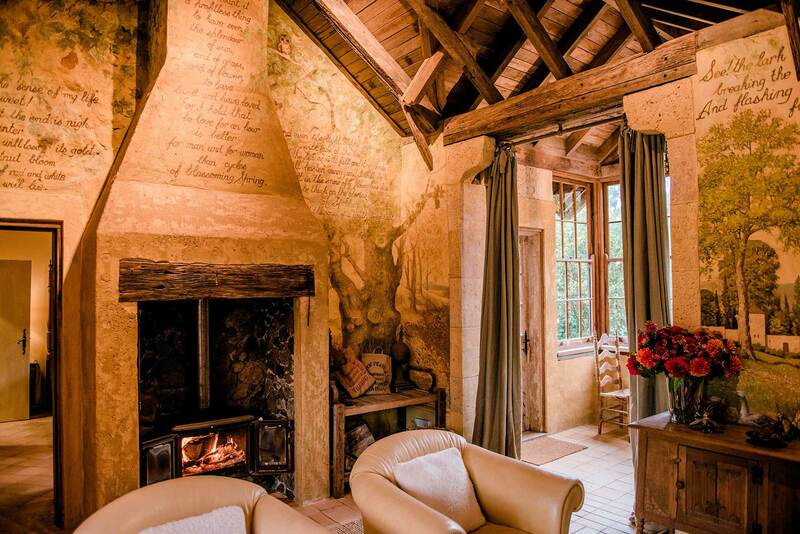 A haven of rustic charm with a deeply restful ambience that makes guests feel instantly at home. Like a little jewel full of deliciously rich colours, exquisite, without being overly feminine. There are flowers in every room, shutters on the windows and classic antique books on the shelves. The whole place is simply divine with little smatterings of eccentricity. The grand Salon which is all parquet, gold leaf, French-windows, silk cushions and starry chandeliers has a Dangerous Liaisons loveliness. 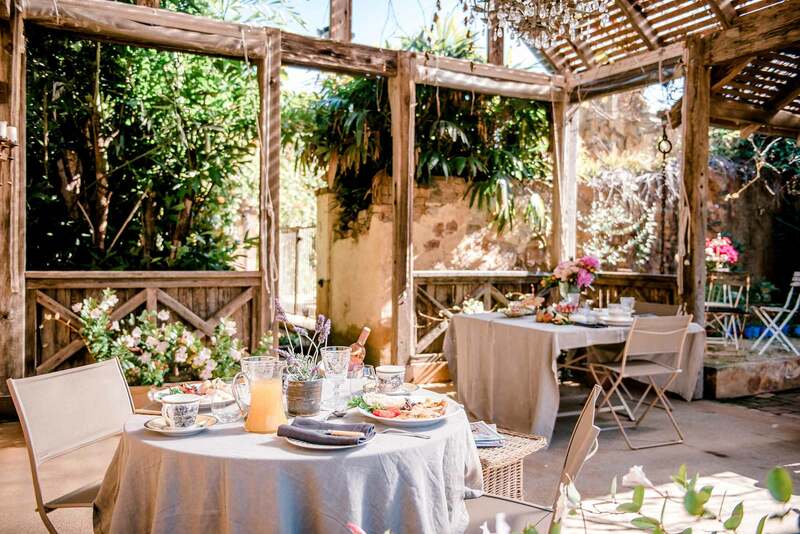 Don’t miss breakfast served here with the windows wide open and a huge amount of sun, it will come with warm croissants, crisp white linen and silver spoons. Wild lavender and rosemary gardens, rambling roses, exotic perfumed trees and topiaries create a scene that is typically “Provençal”. 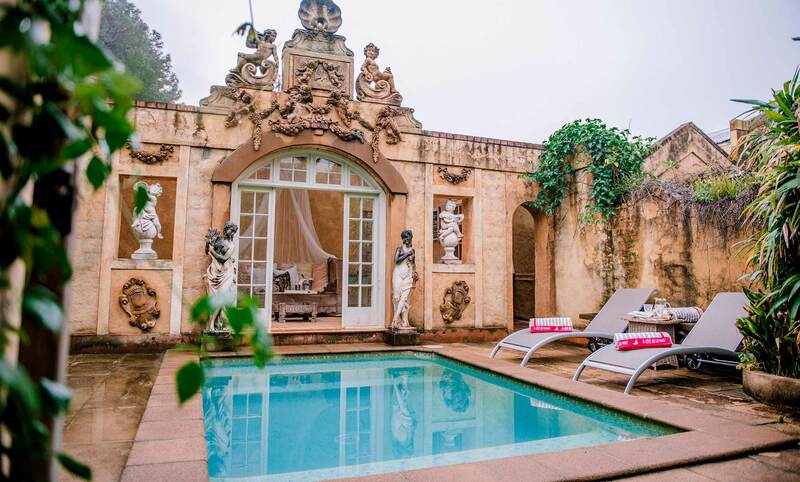 The tiny plunge pool scattered with gold leaf mosaics is surrounded by a “La Fontaine “grotto of cherubs and fountains. A rickety gate leads to a rosemary scented courtyard and wood fired pizza oven. This intimate space with its timber cathedral ceilings adjoins a small dining area with floor to ceiling windows looking out onto a citrus orchard. There is a marbled ensuite and a bedroom cabinet adorned with flea market finds. 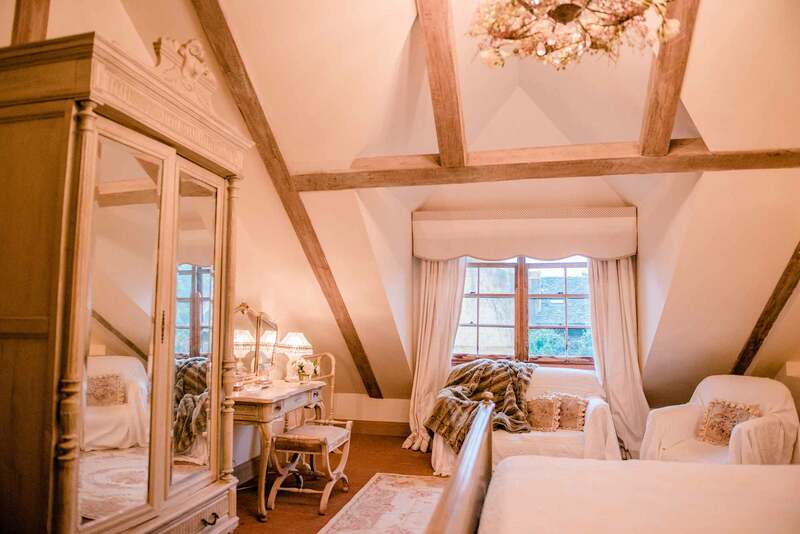 In this bedroom, with its heavy toile curtains and gilded print of Paris in the 1800’s, there is the possibility that you could lose track of the hour, day or night..or even the location. Minimum 4 night stay over Easter/ Christmas / New Year. Minimum 2 night stay all other times.